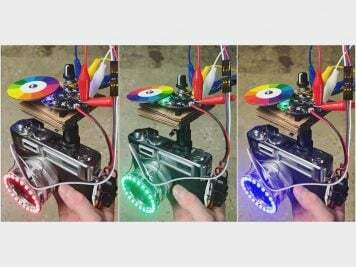 Teen Titans Raven Costume « Adafruit Industries – Makers, hackers, artists, designers and engineers! 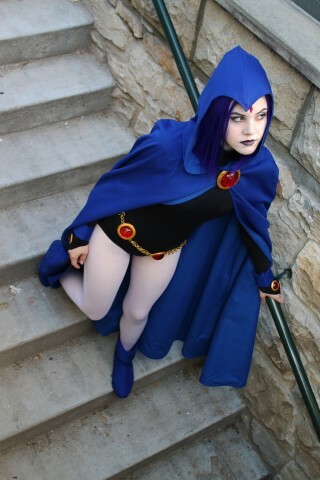 Raven from Teen Titans is one of those characters I see cosplayers dressed as all the time at conventions. I haven’t recorded any hard data, but the costume is probably in the top five or ten of the most popular choices for cosplayers. Raven is a half-demon and half-human with a costume that looks simple but is actually tricky to make. Emi crafted a Raven outfit by hand and documented each step from the wig to the communicator with several photos. 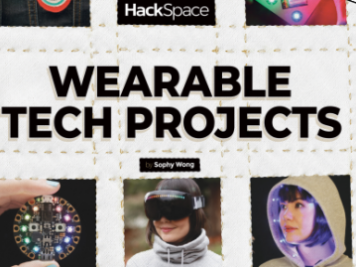 Since the costume has different components such as fabric, resin, and metal, Emi’s notes cover a lot of ground. 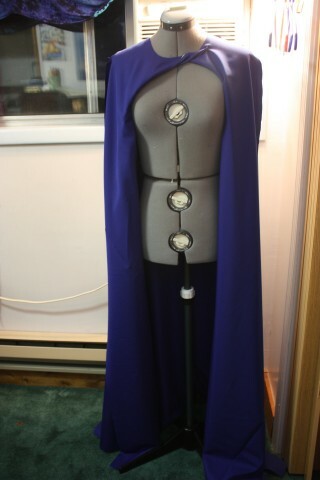 The first picture of the cape shows it just with the individual pieces pinned to the dress form. It shows off the asymmetrical design of the opening of her cape. I still have a little bit of tweaking i want to do with that, but I think it’s going to turn out well, especially with the addition of her broach. 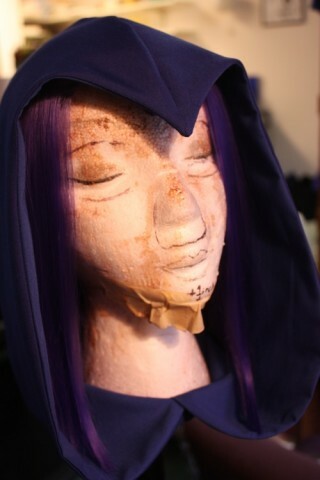 I also added a picture of my final version of the hood, before i attached it to the cape with pins. This is most just to show the shape to any who are interested. Learn more about making a Raven costume at Emi’s Tumblr.